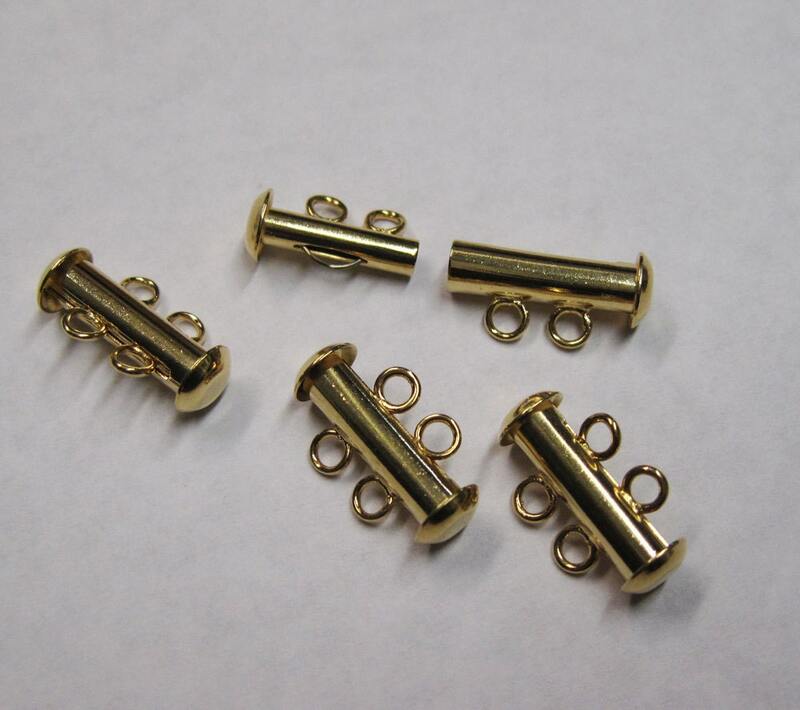 This tube clasp is easy to open and close, and holds heavy or multiple strands securely. Tie strands onto the attach rings. This accommodates two strands. Length is 10.5mm. Note that the clasp length indicates the length that the clasp will add to your strand. Makes taking a bracelet on and off easier! Love these clasps thank you!